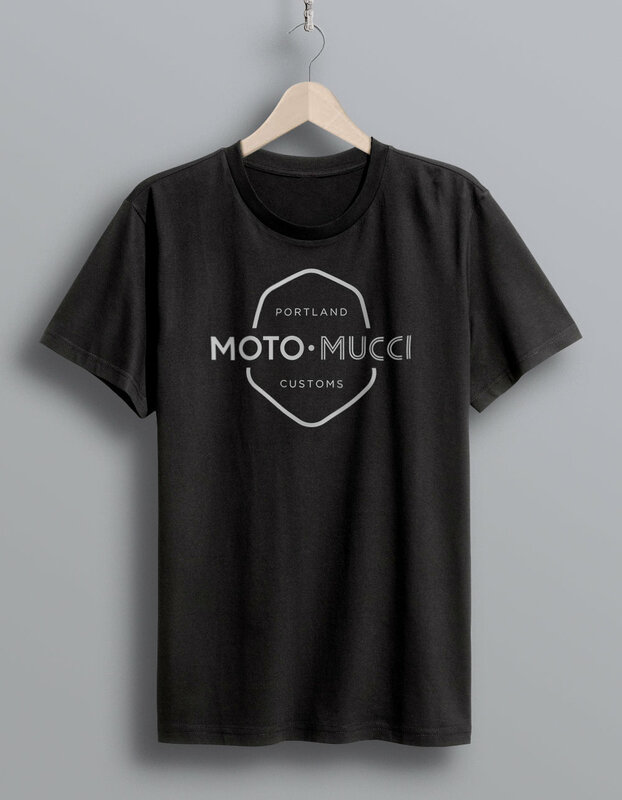 MERCH: The Shop Rag Shirt - Godspeed Co.
Will you actually wear a $175 shirt while sliding under your bike on the garage floor trying to find your drain plug? No, probably not, but you can throw a few of the age old shop rags in with your order. They sell those too. Owner and maker, Mandi, started her brand because of an attraction to the look and craftsmanship of heavy duty, hand-crafted, utilitarian goods. As a person who lives a vegan lifestyle she found few quality products that achieve that aesthetic without using leather or wool, so she started making her own. Most of her items are constructed of American made waxed canvas, cotton straps, brass grommets, and copper rivets. You can purchase tool wraps, aprons, bags and more made in America by her two hands at the link above, or reach out to place a custom order. Mandi herself, in one of her Rugged Cross Back work aprons. Later models have layered front pockets for more storage. Most Black Sage products come in black and forest green as well. Stacked stainless steel rings are individually PVD-coated to create the stepped gradient visual. PVD coating (Physical Vapor Deposition) introduces reactive gas and metal vapors which form a compound that is deposited on the material as a thin, highly adherent coating. Drawing inspiration from the instruments and interiors of 50's and 60's Italian sports cars, the Stradale is a curation of the most memorable cues to vintage driving. These watches may be influenced by vinatge berlinettas but they're beautiful enough to build a car around. Put me down for the cream dial. Featuring a full ceramic case and bracelet, this watch is a stunning physical interpretation of Dieter Ram’s ‘less is more’ philosophy.